Chasing the Giants. Supply Chain Management Solutions Address the Latest Consumer Demands. The modern supply chain is much different than ten or even five years ago. An on-demand consumer mindset has truncated acceptable turnaround time from order submission to receipt. All the while orders are smaller but more frequent. With a lot of moving parts, businesses rely on supply chain management software to track processes, provide transparency, and improve profitability and customer experiences. Both cultural and technology trends influence supply chain evolution, and the latest software iterations are developed to support new demands. Cultural changes drive the adoption of technology trends like bring your own devices, analytics, cloud solutions, mobility, virtual assistants, artificial intelligence (AI), and machine learning. “Customers are expecting faster, smoother, and more convenient interactions through the entire order lifestyle. The workforce is expecting to interact with applications and tools that look, feel, and act like those in their personal life,” offers Jackson Bilbrey, VP of product management, HighJump. “We are seeing companies such as Amazon raise the performance bar to a level where consumers are expecting one or two day delivery times. While the impact to brick and mortar retail is well documented, every industry is faced with higher performance expectations. If Amazon can deliver from a website offering millions of products and bring it to someone’s front door within two days, why can’t a large manufacturer expect the same from its established supplier base? The more a company struggles with its supply chain, the higher the likelihood that customers will look for many options,” offers Greg Kefer, VP marketing, GT Nexus Commerce Network, Infor. Today, companies look for transformative value from procurement and supply chain. “This means fundamentally something has to change. Transformation doesn’t come from simple improvements in efficiency or cadence, but from radical setup changes in the scope and scale of value that can be delivered to the business,” says Paul Blake, associate director, GEP. To keep up with evolving consumer demands, supply chains are becoming increasingly vital. “Supply chain management has always been important for any company that makes/sells goods,” explains Kefer. As supply chains have gone more global, the opportunity to get better and more efficient is a top priority. Organizations are looking for ways to deliver greater levels of service and communication with customers. “Technology and how it is being used in commercial settings is resetting expectations in business situations,” says Mark Jensen, director of product management, Epicor. 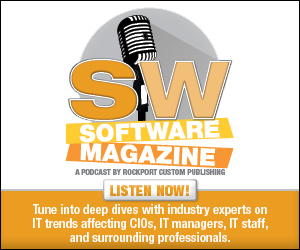 He says software vendors need to provide greater insight into data as well as ways to extend solutions for extending or integrating data with other applications within the distributor ecosystem. “Our customers are becoming savvier about the benefits of current technology trends and want to experience it faster than they have in the past,” says Jensen. Additionally, availability and accessibility of business data has made it easier for organizations to utilize analytics to enable AI and machine learning. These trends put pressure on software solutions that support supply chain management processes. For example, Monte Zweben, CEO, Splice Machine, says all supply chain data can be combined on a real-time data lake to provide intelligent decisions using AI and machine learning. Machine learning can be used to predict supply chain events versus just reacting. Specific to retail, visibility into inventory and order status is critical. Jim Frome, COO, SPS Commerce, points out that consumers cannot purchase products they can’t see and won’t purchase an item if it can’t arrive at the same speed as Amazon. “With a network that includes all of a retailer’s vendors, retailers have a single, reliable source to access the item data, inventory information, and shipping details they need to gain a five-star review from their customer. This frees up valuable time for retail buyers who didn’t become merchants to manage data. Their desire is to outrun the competition with unique products and promotions,” he shares. Incorporating modern technologies into the supply chain presents many opportunities and benefits. “By embracing new technologies, companies gain efficiency and meet the changing demands of the market,” offers Bilbrey. Retailers that delight the consumer drive repeat purchases, comments Frome. He points out that if a delivery is late, a vendor’s items cannot be added to the marketplace in time or an ordered item is sold out, at best a consumer will shop elsewhere next time, at worst they’ll share their dissatisfaction on social media. Employing cloud-native software allows a company to reduce its IT staff and expenses because most issues are now handled by the cloud or software provider. “Existing IT resources are suddenly available to tackle other objectives of the business,” adds Lamphier. When a distribution center adopts automation and robotics, it switches over to a capital expenditure model and reduces variable spending. Lamphier points out that commerce shippers are often forced to hire an influx of temporary labor during peak seasons. With automation, they invest a fixed amount of money up front for a known amount of automation capacity, smoothing out the expense and personnel profile with one-time, upfront capital expenditure that can be depreciated. Distributors see reduced costs and a growth in margins. “We are also seeing distributors able to redistribute team members to new roles or expanded roles that drive more value for the company,” says Jensen. Successfully incorporating new technologies truly enhances and augments the human ability to direct and control business. “For example, with the latest developments it is possible to ask, aloud, for an assessment of a sourcing opportunity, to direct the selection of best-fit suppliers to join a tender process and to initiate the creation of a sourcing event to realize that opportunity. What still takes perhaps several weeks to examine, assess, draft, and publish, using yesterday’s tools today can be achieved in a matter of minutes tomorrow with a human machine conversation. This capability exists today, and with it comes extraordinary power to affect the business operation. Thus, much needs to be done to ensure the validity, suitability, and security of the result of such interactions—hence the need for a maturity cycle,” says Blake. In order to benefit from the latest technologies, organizations must invest in a modern architecture. A lot of systems and partners are part of any global supply chain and the challenge becomes integrating them. “New technology that is in the cloud, utilizing smarter data models and IoT have tremendous potential, but everything must be fused together,” says Kefer. He says companies have made significant investments systems like ERP, and they cannot be replaced overnight. “New technologies need to bring additional capabilities, but in the context of adding value to existing systems. Data is key to success. We estimate that 80 percent of the data a company needs to run its global supply chain sits with partners. There needs to be a network-first approach to innovation. Without a network strategy, data will remain in different silos and the full, end-to-end command center that is required to compete with the Amazons of the world will be impossible to achieve,” cautions Kefer. There are operational issues involved with mobility. “You can’t expect an asset that once existed on a server to deliver in depth information to an Apple iPhone or tablet-style device,” points out Lamphier. He says the issue becomes reimagining how the backend of the software must work to enable modern workflows across various types of sizes of operating systems. Similar issues occur when switching over to a cloud model. “Since the cloud is best suited for software that’s scalable and elastic, you can’t take an asset from the past and put it in Amazon Web Services, Microsoft Azure, or some other cloud service and expect to take full advantage of cloud’s capabilities. For this reason, vendors of all kinds can expect for the technological modernization of existing software to be a challenge when switching to a cloud mode,” adds Lamphier. Automation is another challenge. Although it will play a larger role as AI gets smarter, Lamphier says that sometimes the efficiency and effectiveness of human labor is underestimated. “Humans are going to be an essential part of the process for the foreseeable future and the short term focus needs to be on things like UI and augmented reality advancements that inform and equip the human worker, not replace him/her. To take full advantage of the current state of automation, distribution centers need to opt for an automation solution that balances workflows between man and machine,” says Lamphier. When it comes to automation, ensuring all assets are appropriately utilized is essential. “When people or robotics are not utilized properly you have idle, expensive assets on your hands. The way the work is pushed or pulled through the facilities is something that we’ve had to reimagine and rearchitect. That’s where the conversion from a batch-centric work paradigm to one where the availability of the assets in real time are being sensed and processed continually, comes in to keep asset utilization consistently high. By injecting these ecommerce workflows into a traditional distribution center, a company is one step closer to achieving its omni-channel goal,” says Lamphier. On the flip side, many processes have not been carved out to work with new technologies and there is not a natural fit. “An example of this is the use of bots to automate invoice management. It is perfectly possible to design a bot to open emails, open attachments, scan the contents, and populate a database with the results. But this is a costly and time consuming way of solidifying the process of invoices being sent as email attachments. A truly transformed system has the invoices being submitted as digital entities directly from the supplier to the buyer systems without the archaic step of creating a document attached to an email in the middle,” he shares. Supply chain management solutions will continue to improve to address the latest demands and improve processes. Jensen predicts expanded cloud capabilities, more data analysis tools, greater extensibility to integrate to other platforms, and an increase in mobile capabilities. Here we highlight supply chain management solutions and discuss their integration of the latest trends. Epicor offers Prophet 21 and Eclipse supply chain management solutions. Prophet 21 is tailored to fit distribution software available on premises or cloud-based. Target verticals include durable goods, fluid power, fasteners, HVAC, tile and marble, medical/pharmaceutical, Jan/San, paper and packaging, and petroleum. Target markets include mid-market to large enterprises with 100 to 1,000-plus employees and $15M to more than $100M in annual revenue. GEP offers a unified source-to-pay procurement software platform called SMART by GEP. It is a unified, cloud-native, source-to-pay platform that offers the complete range on functional capabilities to the sourcing, procurement, and purchasing functions within enterprises. As a single product, SMART by GEP delivers spend analysis, sourcing, contract lifecycle management, supplier management, order processing, invoice management, and reporting functions in a single architecture that removes barriers between process steps and allows the creation of capabilities such as end-to-end saving and project tracking, category management, and 360-degree visibility. GEP targets a Fortune 500/Global 2000 scale enterprises with an approximate even spread of customers across all verticals. HighJump provides a full range of supply chain solutions ranging from warehouse management, transportation management, last-mile delivery, and tools such as business analytics, document imaging, quality inspection, dock door management, and parcel shipping. The company is suited to address the adaptable enterprise, allowing customers the flexibility and agility needed to meet the demands of today’s consumers. “Our solution spans an array of markets. Key to this is manufacturing, transportation, distribution, mobile delivery, and retail,” says Bilbrey. Infor offers a full spectrum of supply chain management capabilities covering the processes end-to-end, globally. “Core capabilities include supply chain visibility, transportation, warehouse management, business intelligence, and supplier collaboration. Our core differentiator is that our solutions come embedded with a robust global commerce network that connects systems and partners in the cloud, so all parties and applications operate in unison, based on a single-source-of-truth data model,” says Kefer. The Infor GT Nexus Commerce Network supports more than 50,000 businesses and handles more than $500B in commerce value each year. “We have a mix of large corporations across industry verticals, as well as their logistics partners and suppliers on the network, using different combinations of the applications, based on their specific needs,” says Kefer. Infor targets all industries that have a supply chain, or that are key stakeholders in supply chains with major anchor tenant customers across industries including fashion, retail, industrial manufacturing, GPG, high tech, and logistics. Manhattan offers a broad suite of products under three main pillars—supply chain, omni-channel, and inventory. “We offer solutions that can integrate enterprise workflows across the entire lifecycle of the supply chain, from the purchasing and inventory phase, all the way to transportation and order management,” says Lamphier. Manhattan also offers a single solution set that’s configurable enough to tackle the largest and more complex supply chains in existence. “Our target markets are retailers, wholesale, manufacturing and third-party logistics providers. We provide capabilities for a range of small to medium sized businesses, all the way to the largest companies in the world,” adds Lamphier. Splice Machine offers predictive supply chain management solutions. It brings all enterprise data from ERP, warehouse management, transportation management, and shop floor management, and combines it with exogenous data like carrier, fleet, weather, and IoT data on a real-time operational data lake. The company’s scale-out SQL RDMBS powers mission-critical applications directly on the data lake such as real-time order promising and scheduling, inventory allocation, shipment on time delivery predictors, predictive maintenance, and serial number batch tracking. SPS Commerce exclusively offers retail supply chain software solutions for community development/vendor onboarding, fulfillment/EDI, assortment/item management, analytics, and sourcing. “More than 70,000 retail, grocery, and distribution companies are part of the SPS network, making it the retail industry’s largest trading network,” says Frome. With the objective of capturing greater wallet share of today’s consumers, retailers deploy innovative strategies to reach customers wherever and however they shop. “To do this well, retailers rely on SPS to provide the expertise and cloud-based supply chain solutions that digitally connect them with trading partners and distributors to swiftly connect and trade with tens of thousands of suppliers or logistics providers that work with them. This is a requirement to create a frictionless buying experience that consumers expect and in turn increase purchases and produces repeat customers,” adds Frome.